His Holiness the Vairocana Xing Wu is the Patriarch of Buddhism, the 88th successor of Buddha,the 61th Successor of Zen Dharma,the 51th Successor of the Caodong Dharma,and the 32nd Successor of the Offspring Sangha Dharma. 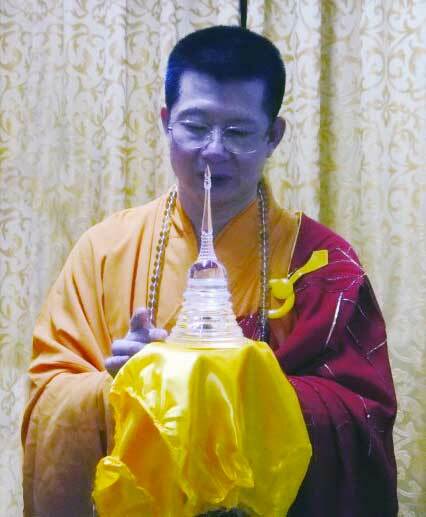 Holding the Symbol of Buddha Dharma – the”Kashaya and alms bowl ”(the hundreds patched robe and the alms bowl) that is the direct line of descent from Supreme Shakyamuni Buddha. 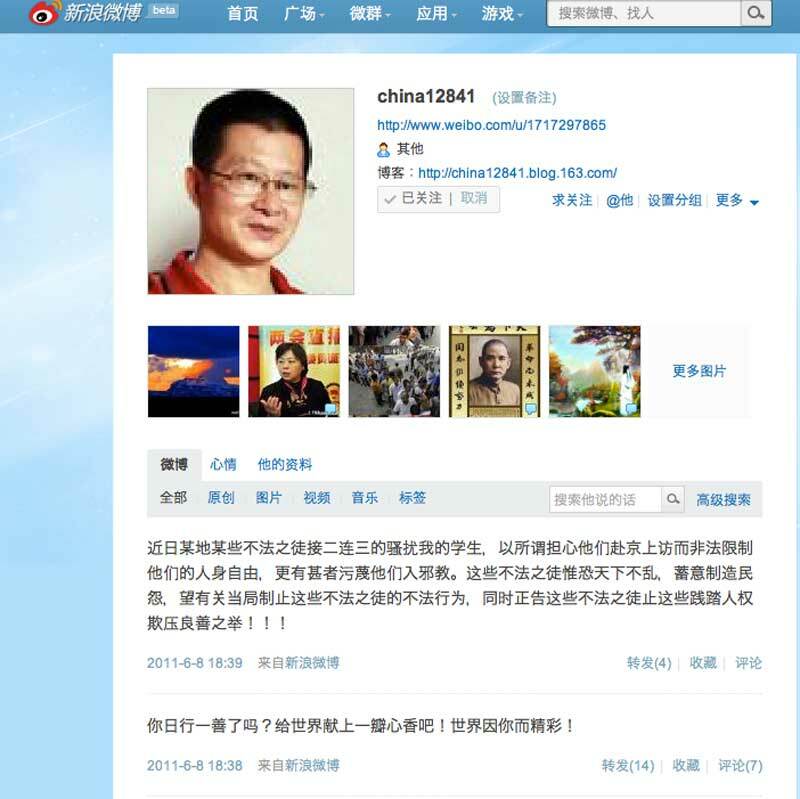 Wu Ze Heng is his secular name. He is also the founder of Hua Zang Dharma. HE, converged with all the achievements from sages of all generations, comes on a huge mission from ancient times. HE, in the Dharma Ending Age, re-turns the Wheel of Dharma, founds Hua Zang Dharma, enlightens all beings, and helps them to revive their self-nature . HE, in His Buddhist demeanour in this secular world, reveals the unreal changes confronting people by means of giving or taking , and manifests to the greatest extent the emptiness of Buddhist Samadhi that is reflected in the unfixed existence. HE, having already apprehended the truth of life and death and been able to come-and-go freely in the universe at His will, yet, has been devoting his blood and bones to enlighten all beings. 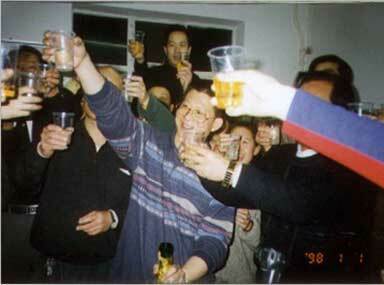 In the summer of 1967, the eldest son in the Wu Family was born in a small coastal village in Huilai County of Guangdong Province, China. 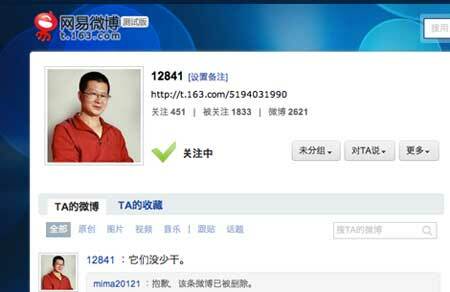 His name is Wu Ze Heng, His alias is Xin Yu, His Buddhist name is Xing Wu. 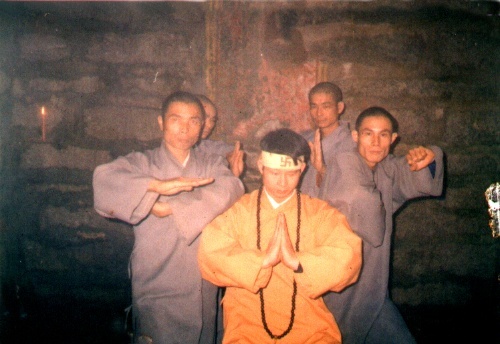 The six characters of Ze Heng, Xin Yu, Xing Wu mean that: assembling the aura from eternal mountains with universal mission in His heart, and forever revitalizing the country by the practice of Zen and Martial arts. 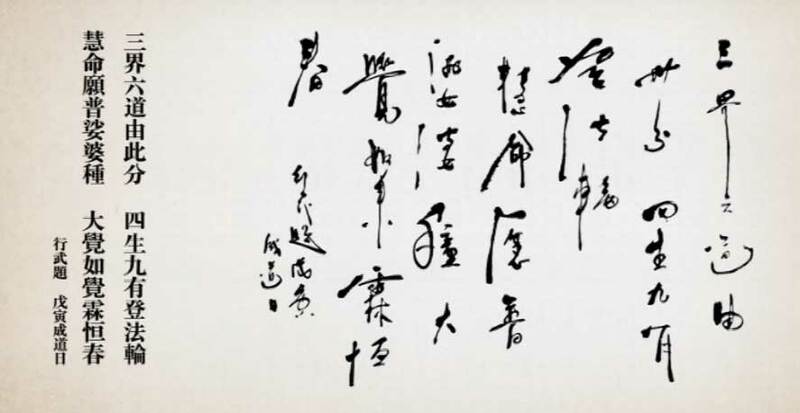 Ze Heng, Xin Yu and Xing Wu, the six characters precisely outline the connotation of an extraordinary person’s life in the days to come. 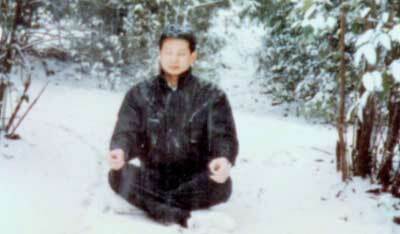 Zen Master Xing Wu had a distinctive childhood. At the age of seven, he met De Zhen and De Zhi, the two Eminent Monks of Cao Dong Dharma of Zen from Shao Lin Monastery, and also the Successors of the Orthodox Dharma of Buddha. Along with the summer gone and winter come, tempered by thousands of hardships in extreme danger, he finally transcended life and death and obtained pratyabhijna. 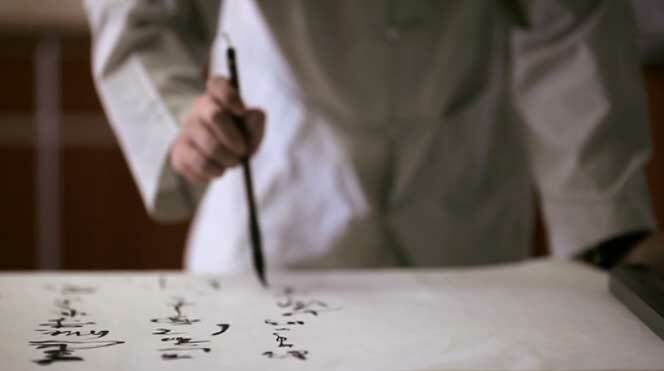 When he was 18 years old, with the Buddhist spirit of enlightening oneself and others, thus to achieve consummation both in cognition and actions, he came to Shao Lin in the hope of serving the country. 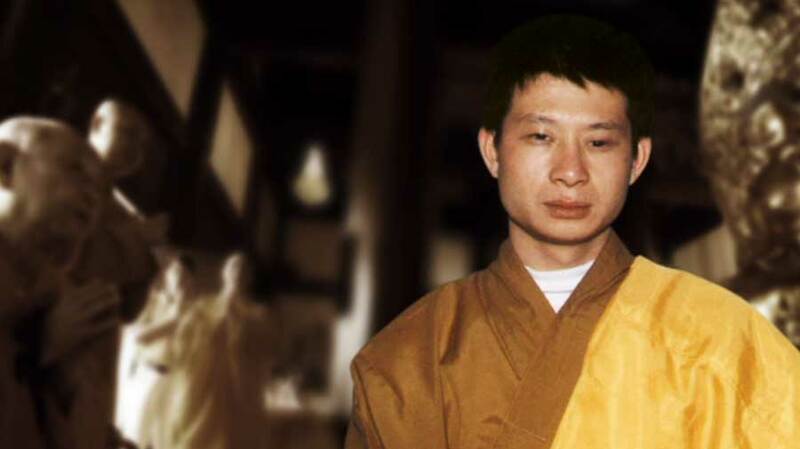 In the Founding Monastery of Zen Dharma, he apprenticed to the Eminent Monk De Chan, who was the previous Abbot of Shao Lin Monastery. 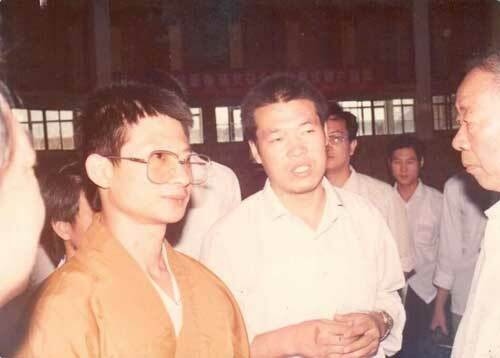 In 1987, at the age of 19, he became the General Supervisor of Shao Lin, the youngest ever in the Monastery history. 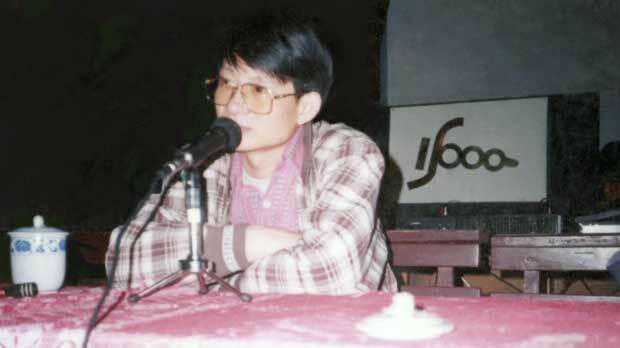 HE, the youngest General Supervisor of Shao Lin Monastery in history, was 19 years old at that time. In 2531 by the Buddhist Calendar (1987 AD), after a forty-nine day seclusion on Zhi Zi Peak of Wuyi Mountain, Zen Master Xing Wu obtained the enlightenment of Holly Bodhi, and attained Vairocana Buddhahood. Excitement of the World and Heaven! Evangel of the Saha World! Buddhahood at such a young age! 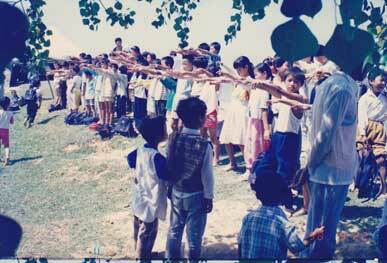 1987, or 2531 by the Buddha Calendar. Therefrom, separated the three realms and the six cyclic existences. To turn Dharma Wheel to benefit all sentient beings. I am willing to sow seeds of Dharma widely in the Saha World. The nectar of Dharma given from the Tathagate with Great Awareness will moisten all beings to live in an ever-lasting spring. comes to the nature source. Emerged faintly the visionary and real sphere produced in stillness. The myriad sands of the Ganges River originate from a single thought. Hence, the Orthodox of Dharma returns to endless universe. All practice of Dharma and great vows are for the benefit of all beings. The light of the Vairocana World pervades thoroughly every corner of the universe. All beings could get enlightenment under the instruction of Orthodox Dharma. The 32nd Successor of the Offspring Sangha Dharma and Chakravartin rma. 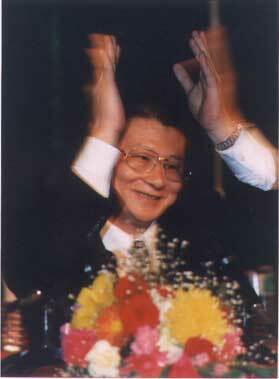 His Holiness Vairocana Xing Wu has obtained internal and external enlightenment and understood the truth of universe. His Dharma power penetrates space and can be perceived throughout the universe. HE was fully aware of who HE is, and what a great mission HE came for. His Holiness, the 32nd Successor of the Chakravartin of Turning Dharma Wheel,will restore the Orthodox Dharma in the universe. His Holiness, the Maha Vairocana, with His Buddha wisdom, is willing to sow seeds of Dharma widely in the Saha World so that all beings can get motivated and have their self-nature revived. 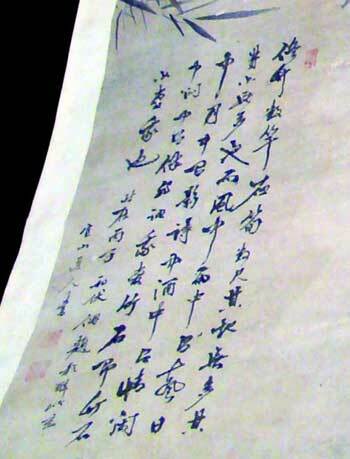 Not long after HE came back to Shao Lin Monastery, HE went to the White Horse Monastery , a place that witnessed His Holiness Xing Wu to be initiated into a Perfect Bodhisattva Precept on April 8th(the lunar month) of 2534 (the Buddhist Calendar) HE wrote a poem declaring to the World and Heaven His pledge of fearlessly stepping into misery, upholding His Bodhisattva Precept so to fulfil his great aspiration of benefiting the world and all beings. The Ark of Dharma is intended for all beings. The nectar of Dharma has spread throughout the Earth. Our Buddha is so merciful and will surely not deprive all that the human world desires for. Precepts applied for monks in monasteries are rigorous. As for the folk wrongdoers, why not give them a way out? Dharma is stern. Is not there any convenient approach? I thought the routine in the Monastery accompanying morning bell and evening drum would be unworthy for my life. If I can enlighten the spirit of all the sentient beings, I fear not a wandering life. I would like to dedicate my life to the secular world to resume unfinished and predestined relationship. I prefer reconciling myself with the abyss of misery, and facing my inexorable doom bravely. I wish I could be the Bodhi tree to bless and protect all sentient beings. Carving in history as a legend praised everywhere. I will set off for a ten-thousand Li journey without fixed destinations. May the World Honored One bless me! 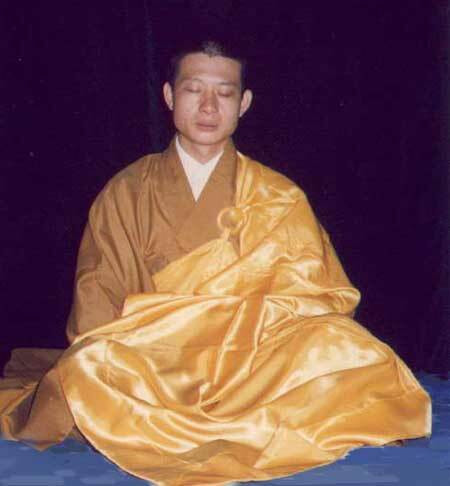 Eminent Monk De Chan, the previous Abbot of Shao Lin Monastery and the 31st Successor of the Offspring Sangha Dharma. 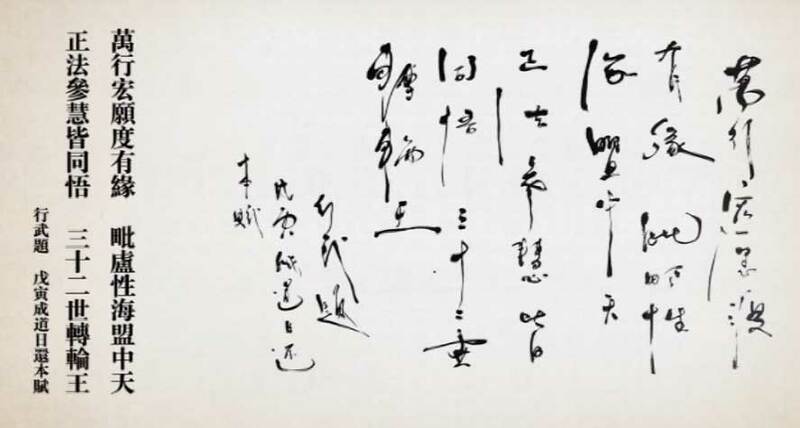 The Symbol of Cao Dong Dharma of Zen lineage,the Yi Shan Painting drawn by Qing Yuan Xing Si, the 7th Patriarch of Zen Dharma. 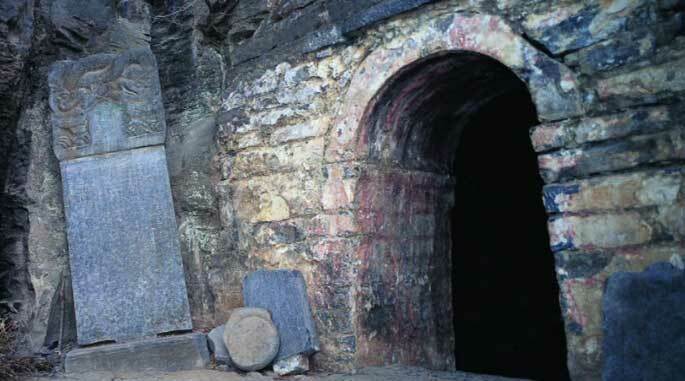 Although HE only had a short stay in Shao Lin Monastery, the “short” contained “ thousands of years”. There, right in the Monastery, the Enlightened One had vital accomplishments: bridging the patriarchal linkage of Orthodox Dharma of Buddha, Zen and Cao Dong Dharma , and became the Paramount Successor of them all. It is the most important event in Buddhist history ! 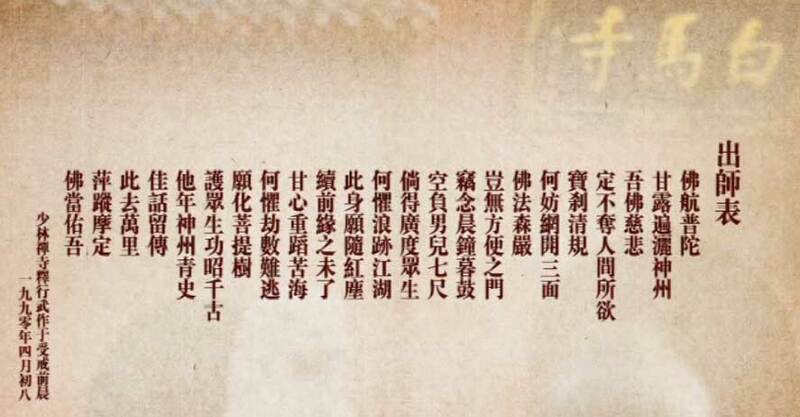 Eminent Monk De Chan, the previous Abbot of Shao Lin Monastery, the 31st Successor of the Offspring Sangha Dharma, entrusted to Him Yi Shan’s Painting, which was drawn by Qing Yuan Xing Si, the 7th Patriarch but the 6th Ancestor of Zen Dharma. Eminent Monk De Zhen, the hermit and the heir of Sakyamuni’s Heart Intuitive Dharma had already secretly entrusted the symbol of Buddhist Orthodox Dharma to Vairocana Xing Wu, which is the Patched Robe and Alms Bowl of Sakyamuni brought to China by Bodhidharma. 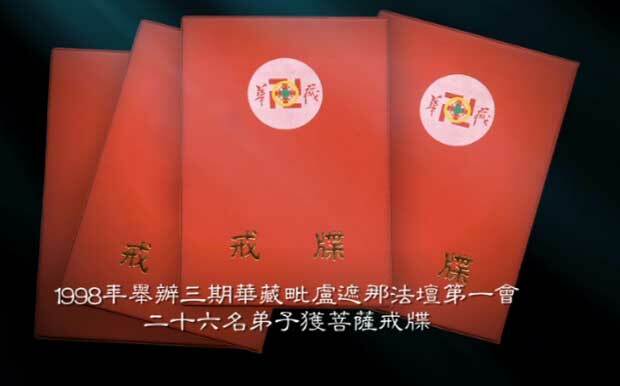 The Keepsakes or Symbols of Buddhist Dharma from both Esoteric Buddhism and Exoteric Buddhism were passed on to His Holiness Vairocana Xing Wu. 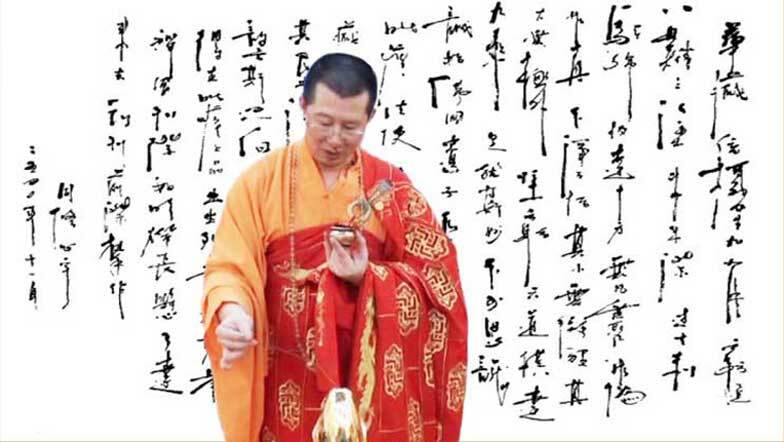 His Holiness Vairocana Xing Wu is undoubtedly recognized as the Patriarch of Buddhism, the 88th Successor of Buddha, the 61st Successor of Zen Dharma, the 50th Successor of Cao Dong Dharma, and the 32nd Successor of the Offspring Sangha Dharma. HE postponed exhibiting these Keepsakes in order to spread the Dharma and benefit humanity. the intersection of time and space linking past, present and future, which embodies the initial and the renewal, is based on merely one thought. The Enlightened One would surely evolve a new atmosphere of Mahayana Dharma in the world through his wisdom and aspiration! After Sakyamuni gained a thorough understanding of the universe, he made it known to all in the world as Buddhism. Since then, Buddhism has undergone from the Orthodox Dharma Age (two or three thousand years ago in India )into the Dharma Ending Age. 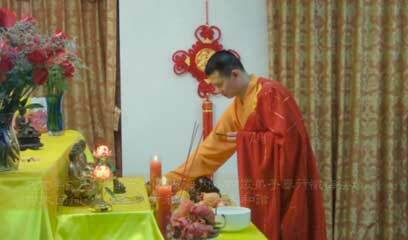 Nowadays Buddhist practices have been separated from the society. Sects with different teachings have flourished from time to time, deviating the essence of Dharma. Human morality has been corrupted, their material desires overflown. Buddhist disciples have become less and less. Temple-centered self-cultivation have been severely seperated from the society, and also gone against the vows and behaviour of true Buddhists. Hence, hardly any enlightened person. The Orthodox Dharma has come to the brink of extinct. 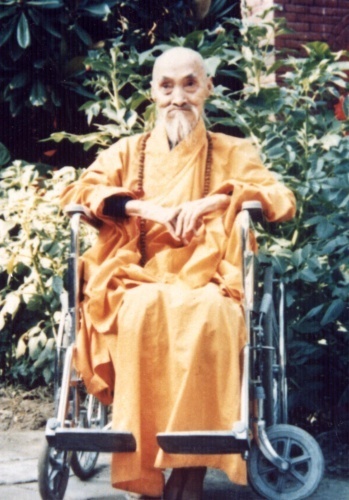 His Holiness Vairocana Xing Wu felt with grief that the collapse of Buddhism should be the blame on the temple-centered self-cultivation which have lost the fundamental. 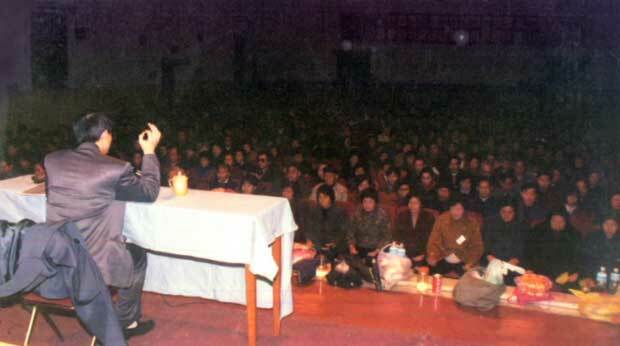 During a solemn Buddhist service, HE got punished for HE closed eyes thinking. In reply, HE expressed firmly, "People provide us everything for living. If I strive for my Buddhahood at the cost of people's supplies without giving them anything in return, I am not as good as a layman. I would just be like a parasite, a robber in Buddhist clothing, or a liar embezzling the name of the World Honored One to deceive people. By doing so, I would go hell instead !" Upon hearing His words, the other monks were shocked. 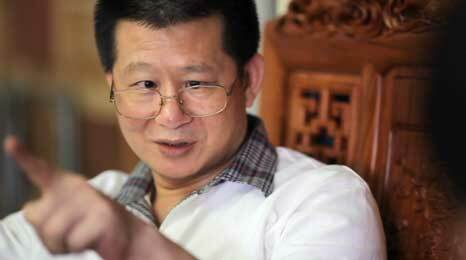 HE got criticized, even sentenced to hard labor, and expelled from Shao Lin Monastery at last. However, the Enlightened One left with the sound of His voice hovering over the beams of the Monastery. Eventually, the Abbot, the Supervisors and the Venerables of the Monastery accepted His opinion and invited Him to come back. 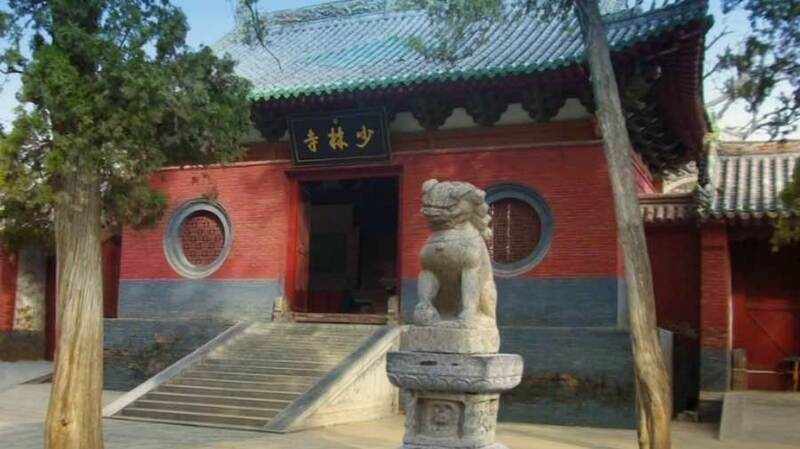 Shao Lin Monastery, the Founding Monastery of Zen. A hail of thunder made the Founding Monastery quiver. It is bound to spread to every monastery or temple. It started to clarify the nature of Buddhism, the Buddhist practice and the lineage inheritance of the Orthodox Dharma. The thunder of religious reform will surely cause many aftershocks among the current Buddhist circle. 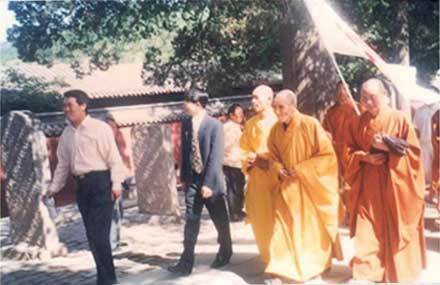 After His Holiness Vairocana Xing Wu was expelled from Shao Lin Monastery, HE walked to His hometown. It took 54 days. HE lived as a hermit among the folks in towns. 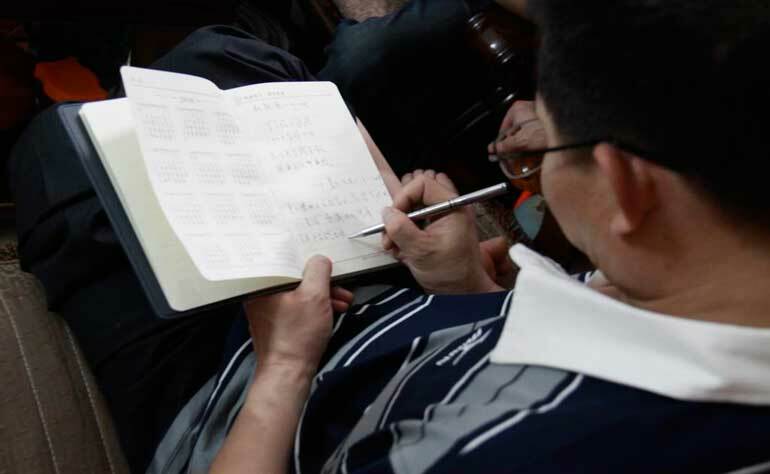 By teaching Gongfu, practicing geomancy, providing traditional medical treatment for the people, HE gained a deep understanding of them, and helped them to get relief by convenience. 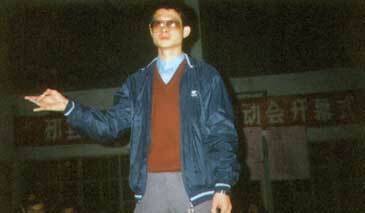 Not long after, HE went into seclusion in Dananshan Mountain. 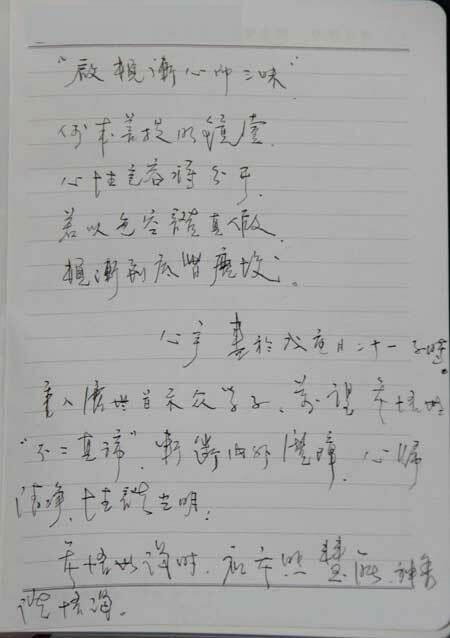 In the previous seclusion in Wuyi Mountain, HE had achieved complete Enlightenment, knowing His great vow and made His commitment. Proceeding from His experiences in the human society after HE left the Mountain, HE began the second time seclusion. In His meditation, HE roamed though in the past, present and future of the universe, got an insight into the hardships of the secular world and strengthened His will of continuing His Buddhist way. the Fundamental Honored One of Hua Zang Dharma, who assumes the mission of Re-Turning the Wheel of Dharma. HE, upholding the ( imprint of the Buddha's Heart-Mind) and a fundamentally thorough approach for the Buddhist practice, will bring all the sects back under the Heart Intuitive Dharma. For the human beings, HE will help their self-nature revived so that they can enjoy an undefiled perfect life and devote to turning the secular world into a Pure Land. HE will make the enlightenment feasible for all beings( in four forms of lives, or in nine dimensions, or scattered in the three evil paths, and/or in eight severe status with no access to Buddhism) through Hua Zang Holy Door. HE will make them back to Vairokana’s Nature Sea – their own nature. Hua Zang Dharma will purify the universe. voyage guided by the merciful Vairocana. In every corner of the Vairocana World, His sermon of Dharma is heard. Merits and virtues are boundless. 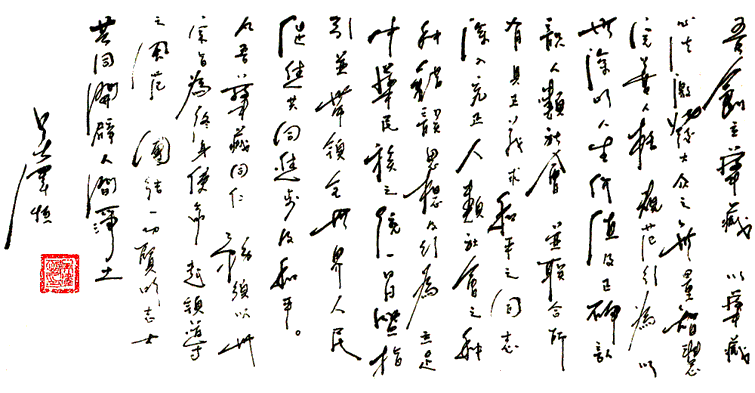 Ang Ma Ni Bei Mi Hong. This solemn moment indicated that His Holiness Vairocana Xing Wu, one of the Seven Ancient Buddhas, having already attained the Buddhahood of Vairocana Dharmakaya，opened the spatial and temporal curtain of disseminating Hua Zang Dharma in the world. To initiate peace for thousands of generations. In the year 2534 of the Buddhist Calendar, just over a year after HE left Shao Lin Monastery, His Holiness Vairocana Xing Wu was invited to come back. 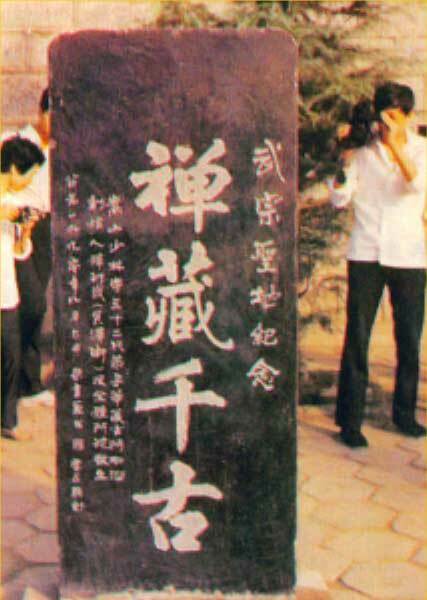 HE erected a monument entitled “Zen Treasure for Thousands of Years” to mark the birth of Hua Zang Dharma in Shao Lin Monastery. Hua Zang Dharma, a formless Buddhist Dharma Door, is the lineage of the Heart Intuitive Dharma. It is the Holy Aggregate of the Orthodox Dharma with no oppositions between the stained and the clean, the realistic convenience and the original emptiness, the Theravada and the Mahayana. It does not stay in forms nor in emptiness. Hua Zang Dharma came into being because of a great mission. It offers help to all beings according to causes and conditions. Its existence is of non-form in all forms, non-self in any and all things mixed with self, non-self-behaviour in all behaviours. Back to the source-an aggregate of all sects and all living beings. --This is Hua Zang Dharma precisely! Nowadays, human beings are confronted with three types of incoordinations, which occur in humans themselves, in the relationship between people and people, in the relationship between people and nature. And at the same time, there are four types divisions, which occur between temporal and spiritual, subject and object, wholeness and section, and human beings and nature. His Holiness Vairocana Xing Wu took up His mission and left the monastery, determined to popularize Buddhism in the secular world, enlighten the human wisdom, and render his service to the country and the people. In the past 20 years or so, HE left his footprints at home and abroad. 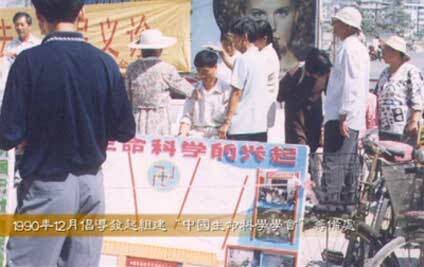 His vows and practices have been seen all over China. 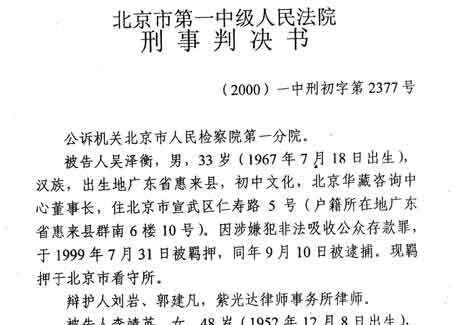 In June, 1990, His Holiness Vairocana Xing Wu was invited to Beijing to treat Marshal Xu Xiang Qian, who was severely ill. The therapeutic effects were remarkable. 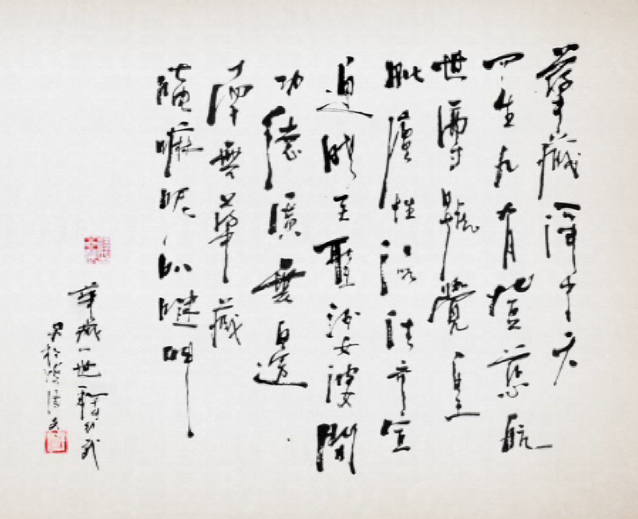 His medical skill and wisdom attracted the attention of the Chinese Qigong Science Research Association, which was led by General Zhang Zhen Huan. 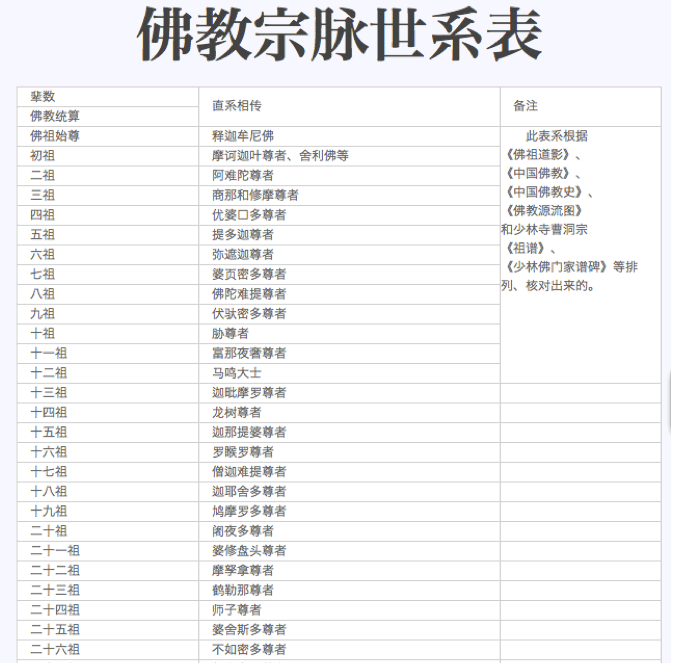 HE was appointed as the Vice Director of the Clinical Research Group and the expert of the Chinese Qigong Science Research Association, and a Specialist in the Health Care Bureau for the leaders of CPC Central Committee. 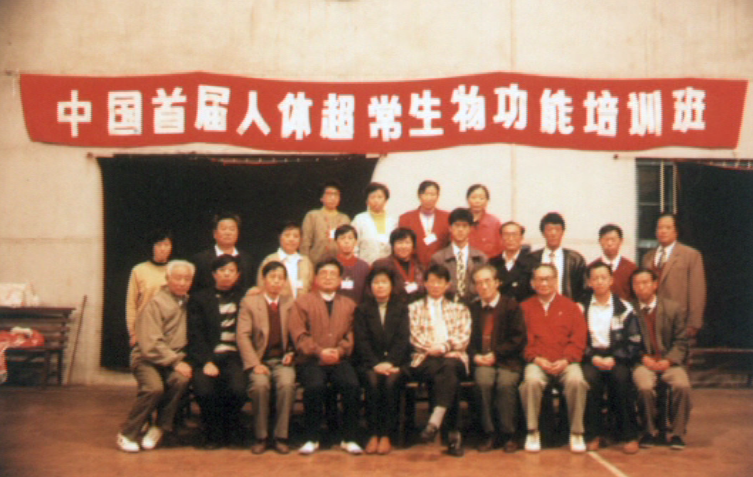 HE was in charge of the evaluation of all Qigong masters in the whole country, and of the clinical research of the transfer of the cancer cells out of the body, polio and common diseases of digestive system. 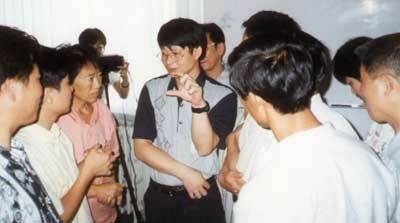 HE went to Pizhou city of Jiangsu Province to carry out execute clinical research. 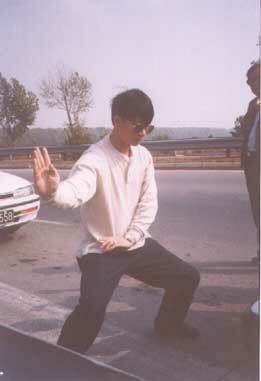 Thoughts of the fact that good and bad elements mixed up in the Qigong circle at that time, HE suggested that the traditional Qigong should be included in scientific research so to make it more canonical and rational. 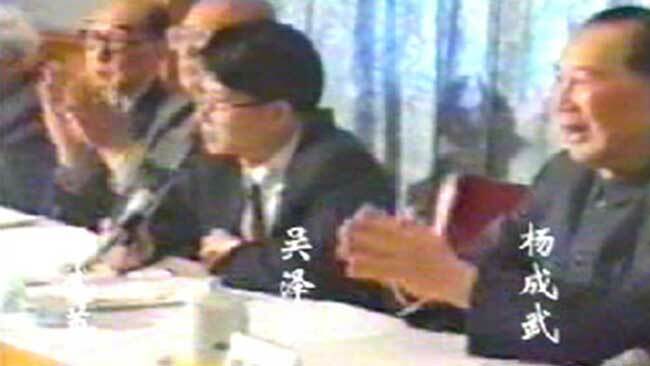 In December, 1990, HE advocated and founded the “China Life Science Association” and gained support from more than 500 scientists. In December. 1990. 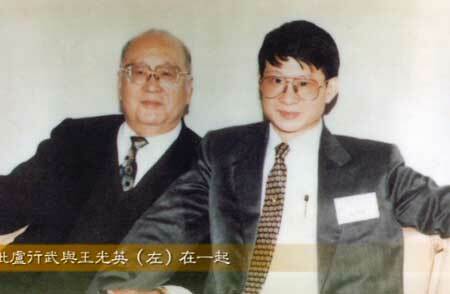 HE advocated and founded the 'China Life Science Association'. HE proposed the definition of life – “Anything having a space-time process is life”. 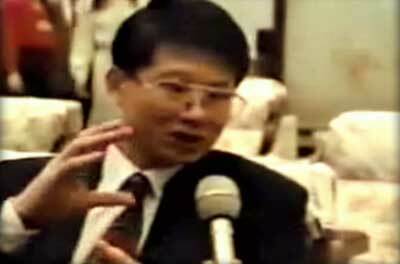 In 1992, the International Life Science Development Foundation was founded in Hongkong. 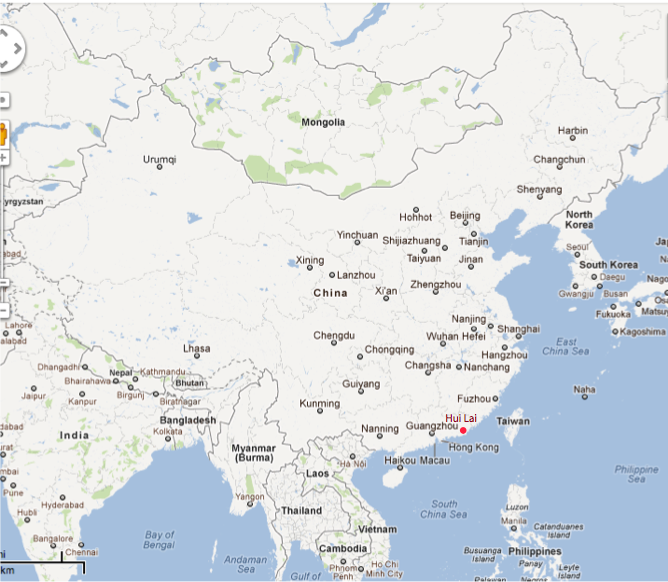 In April, 1994, the International Life Science Research Center was founded in Hongkong. 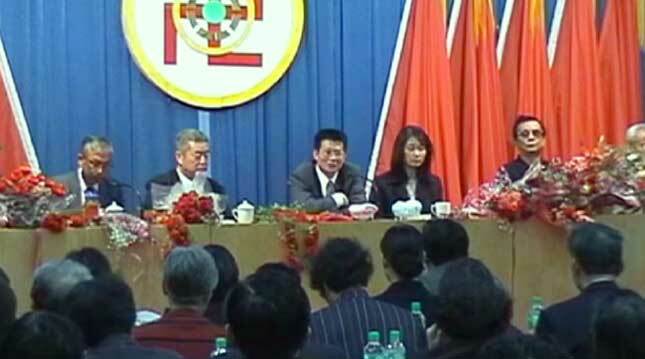 His Holiness Vairocana Xing Wu was assigned as the General–Secretary and Executive Chairman of the Asian Division. 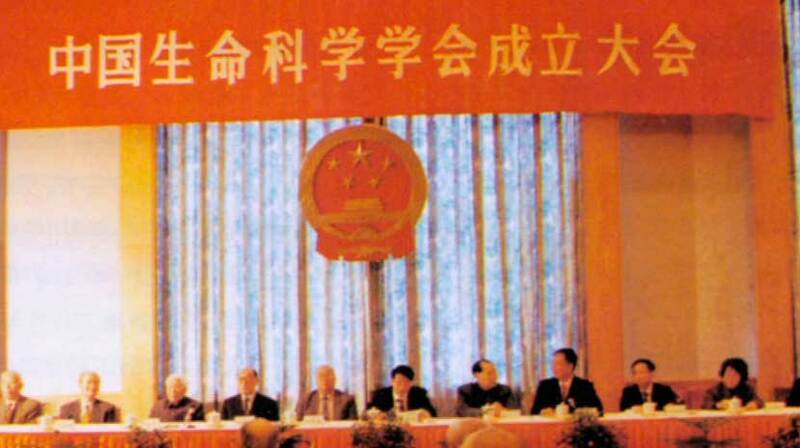 In 1995, after 5 years of hard work, China Life Science Association was established in the Great Hall of the People. After the inauguration of China Life Science Association, His Holiness Vairocana Xing Wu was interviewed by a journalist from the CCTV. 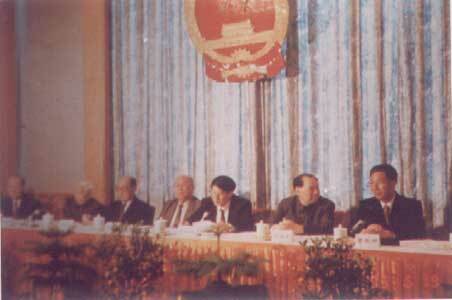 In May 1995, China Life Science Association was established in the Great Hall of the People. "Facing the crises associated with ecological、physical、psychological and social problems and so on, we can conclude that there are four unbalances: the unbalance between human beings and nature, the unbalance between body and mind, the unbalance between peoples (incl. between individuals and groups). In this context, it is necessary to establish an association, to lead the research from analysis to synthesis in the complex systems, molecular life science, Systematic Life Science, even in the supernatural life science. During the process of learning from the nature of humanity, we will explore a new model suitable for the development of humanity and technology." 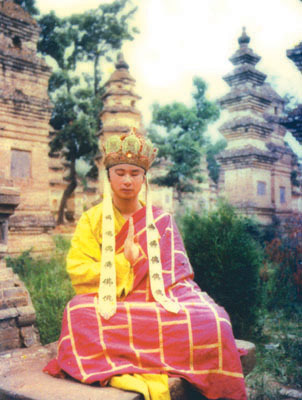 His Holiness Vairocana Xing Wu said that to practice Dharma is just to enlighten oneself and others, and thus achieve consummation both in cognition and actions. He pointed out that the practice is to demonstrate “the nature of emptiness”, and emptiness equates “to perceive but not cling to anything”. 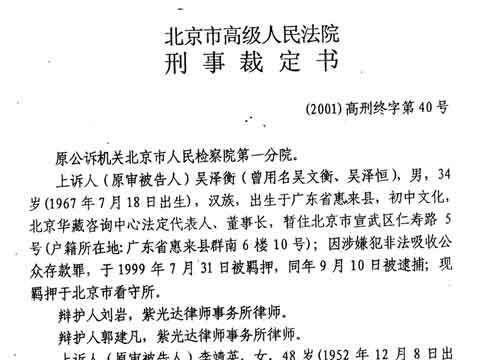 In 1994, His Holiness Vairocana Xing Wu delivered an essay entitled <<On Heart>>, stating that spiritual and temporal are oneness, and Dharma principles and their applications are unitary from the view of Hua Zang Dharma. Once a reader completely understands the essay <<On Heart>>, he will immediately achieve his enlightenment. 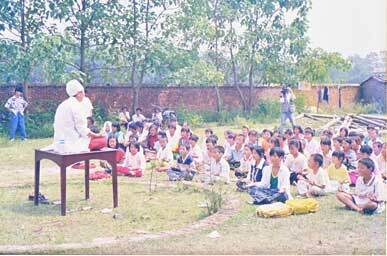 In 1994, HE held the “Dharani Assembly” in Nepal twice, disseminating the Great Dharma of Dharani for the first time; In October the same year, HE delivered a serial academic lectures on Dharma entitled “Hua Zang Dharma and Human Life” in Zhanghua, Taiwan. 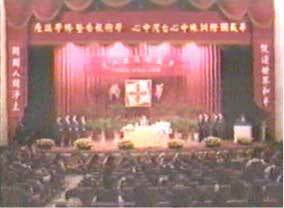 In 1994, His Holiness Vairocana Xin Wu delivered “Hua Zang Dharma and Human Life” in Zhanghua, Taiwan. 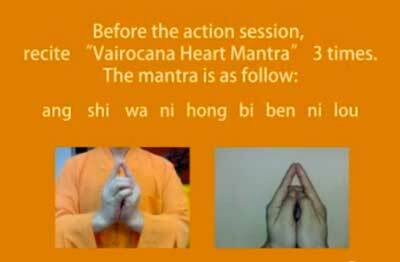 In March 2010, HE publicized the “Non-duality Truth” of Hua Zang Dharma by the poem “Arousing Samadhi of Heart Seal(Imprint of the Heart) through both Sudden Enlightenment and Gradual Practices”. HE persuaded people to eliminate interior and exterior hindrances, attain serenity and purity in their hearts, and to realize enlightenment in their nature. HE showed us a road towards realizing one’s Buddhahood in this one time life-span! How can the nature be separated from heart? Both Sudden and Gradual Enlightenment are trivial. 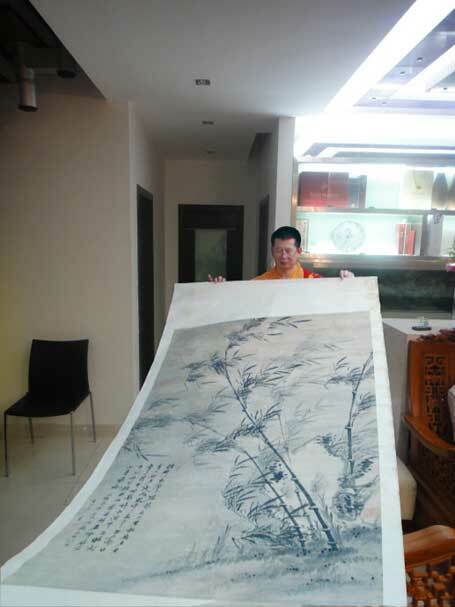 In 2010, in Zhuhai, Guangdong Province, HE displayed the “Yi Shan Painting”-- a treasure previously housed in Shao Lin Monastery, and also the Holy Blood Relic of Buddha. 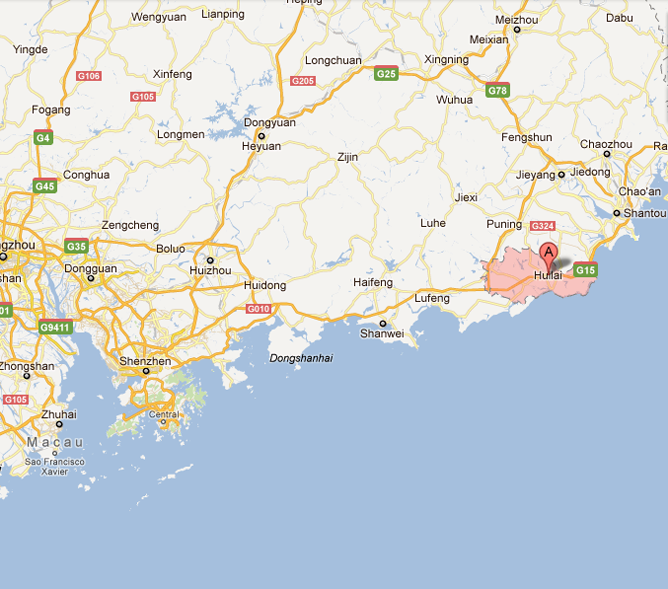 Thus HE publicized his status as a successor of the Orthodox Dharma Lineage on the mainland of China for the first time. 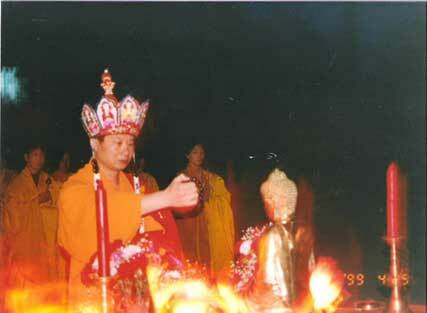 His Holiness the Vairocana Xing-wu holds the Shakyamuni Buddha and Mu Jianlian Venerable's holy blood relic. His Holiness the Vairocana Xing-wu demonstrated the Keepsake of Zen Dharma inheritance: “Yi Shan Paining" painted by the 7th Patriarch 6th Ancestor of Zen - Ching Yuan Xing Si. 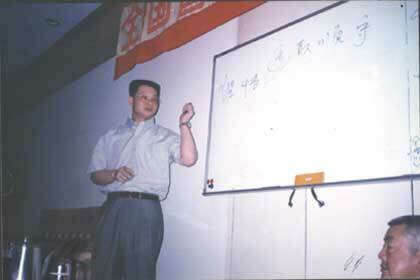 In July of 2011, HE gave lecture about “The Lineage of Cao Dong Dharma” and “The Five Positions of the Monarch and Ministers”, solemnly clarifying the original nature of Buddhism, the Buddhist practice and the lineage inheritance of the Orthodox Dharma. 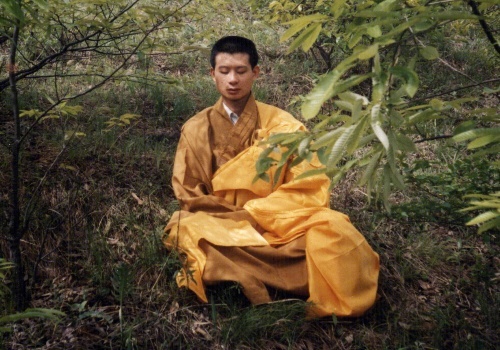 In the early 1990 of the 20th century , after the examination and assessment of experts from many circles, Hua Zang Dharma that features the harmony between Heaven and man was affirmed as the only Qigong practice worthy for further scientific research nationwide at that time, and admitted to be popularized via the scientific research in some key colleges and universities. Taking this opportunity, HE trained Vairocana missionaries one group after another to inspire the wisdom of human beings and widely sow the seeds of Dharma. 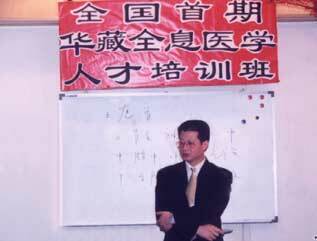 HE conducted training classes named “the Nine Methods in Three Steps”, “Special Training” and the “Elites class”. 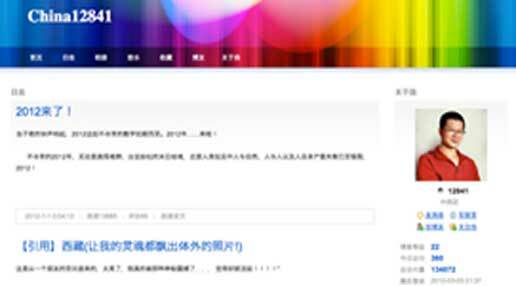 The Beijing Hua Zang Center For Culture Consulting (abbr. 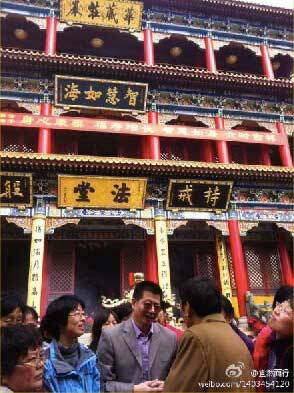 Hua Zang Center) was founded by His Holiness Vairocana Xing Wu in Beijing in 1997. According to the traditional Buddhist Dharma, His Holiness Vairocana Xing Wu announced the “Enlightenment Culture” that adapts to the changing society nowadays. It lays stress on the principle of Harmony and Unity, the connotation is: each should perform according to his position and duties, and all beings live in harmony. HE said: “The time when you close your eyes meditating is intended to open your eyes and be a good man. The Buddhist practice should be implemented in every behavior of everyday life. A consummate man is named Buddha. HE put forward the concept of “New Six Senses” of the Enlightenment Culture. 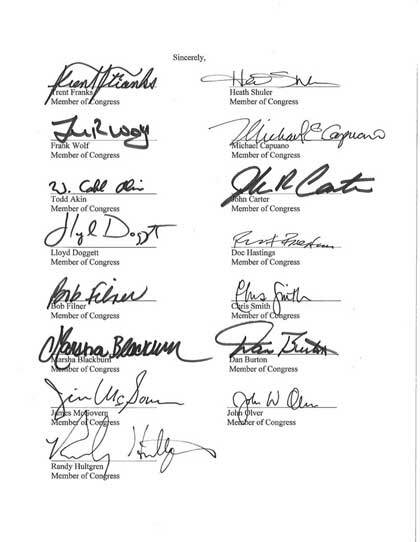 It includes appreciation, common sense, knowledge, scholarly attainment, insight, courage. These New Six Senses are common to all cultures and religions at the same time have different levels of practice achievement. HE advocates that everyone should try to be a great person. 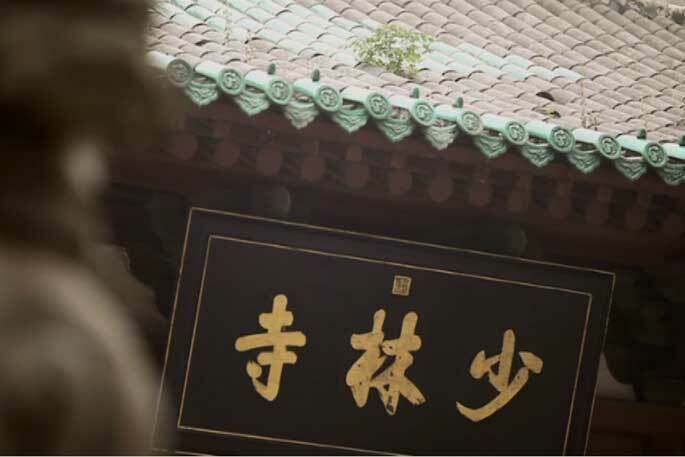 His Holiness Vairocana Xing Wu’s previous offices in Beijing: Guesthouse of the Ministry of Materials, China Home for Staff and Workers , East Ring Building, Buildings in Baishiqiao Road and Renshou Road. HE held a lot of management training and consulting conferences, and taught the management strategy and the art of commercial war. 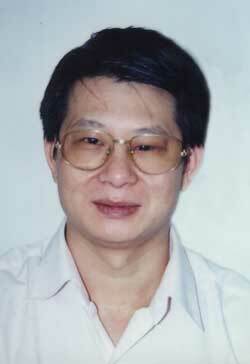 HE also advocates the theory of maximum efficiency of enterprises, scientific management and rationalized allocation. The aim is to gain achievements for two sides in the cooperation and sustainable development. 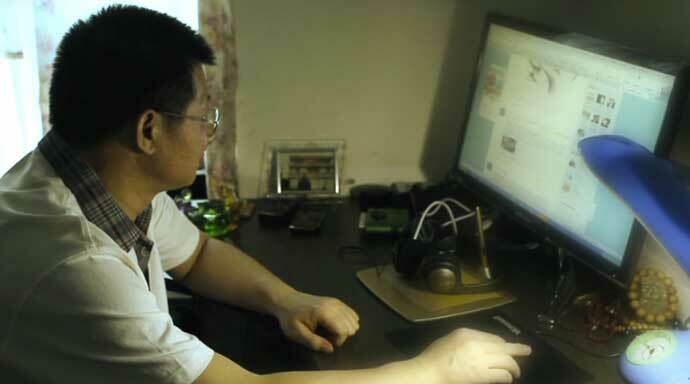 Although HE does not have real freedom after released from prison one and half years ago, HE has been busy day and night with spreading Dharma through the internet groups named “Heart Lamp Online”, “ Road to Enlightenment and Practice”, “the World of Heart” and so on. He is so farsighted , humorous , direct to people’s hearts , and is so properly fit to each circumstance when talking on Dharma. 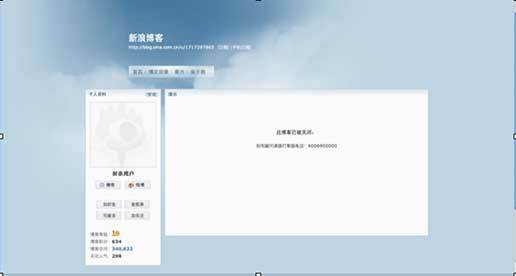 Under His guidance, the cyber citizens’ doubts were clarified. 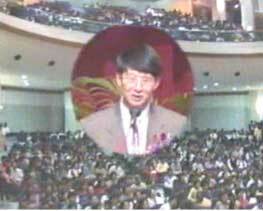 HE inspires people towards enlightenment and dismiss their spiritual confusions in the modern world. HE is like a lamp, a lamp to light the hearts of humans, a lamp to bring brightness to the world. 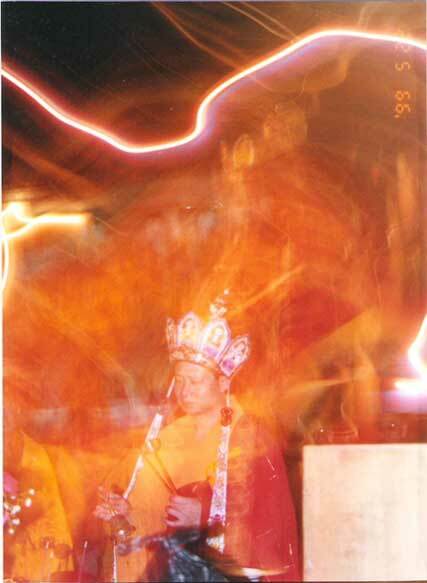 His Holiness Vairocana Xing Wu proposed <<The Credo of Hua Zang Dharma>> in 1995, declaring to the world Hua Zang’s Concept of “Harmony and Unity”. 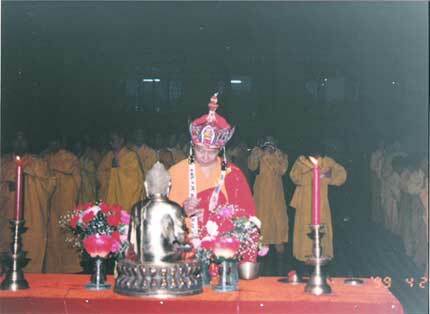 Hua Zang Dharma will demonstrate its demeanor of Harmony and Unity to people. 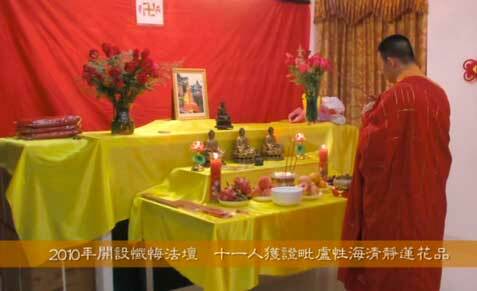 Hua Zang Dharma will improve the status of the lack in spiritual values of the society. Hua Zang Dharma will achieve the great mission entrusted by history. It is well determined to create a new model of survival and development model for human society: All Beings Live in Harmony! 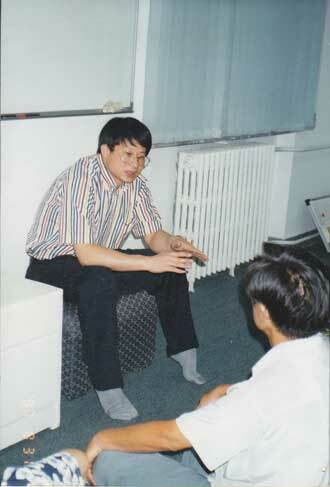 In 1998, HE founded “Beijing Hua Zang Hospital”. 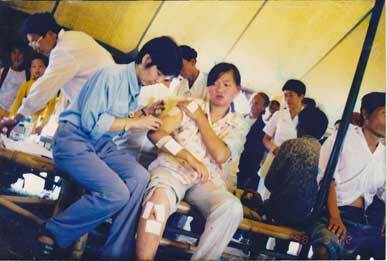 The theory and practice of Hua Zang Holographic Medicine were applied. 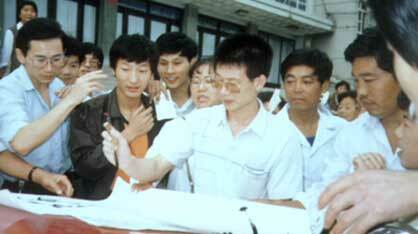 In 1998, serious flood occurred in South China. 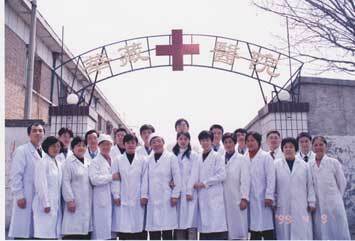 HE organized the Hua Zang Special Medical Task Team. After a short training, the Team went to the heavily devastated area to help the victims. 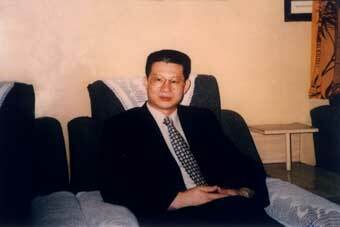 In early 1999, HE sponsored and established Hua Zang Incorporated Co., Ltd. In the hope to reach the goal of sharing natural and social resources, cost-deducting , energy-saving, and promoting a balanced economic development in poor, remote and ethnic areas. 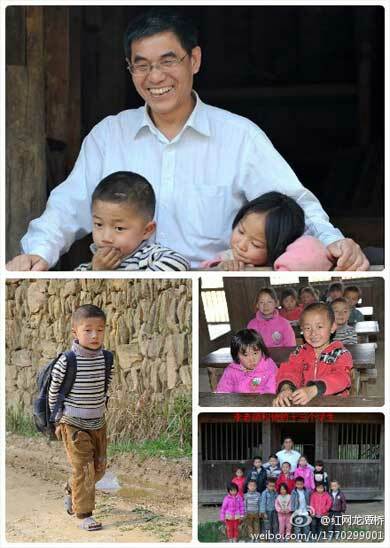 HE has been devoting for better education. 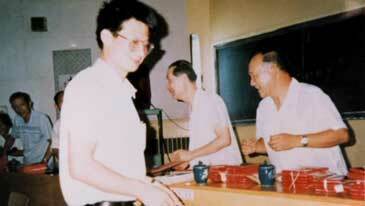 To this end, HE initiated the preparatory work to set up China Life Technology University. The University would be the highest institution of Holographic Life Science in the world. 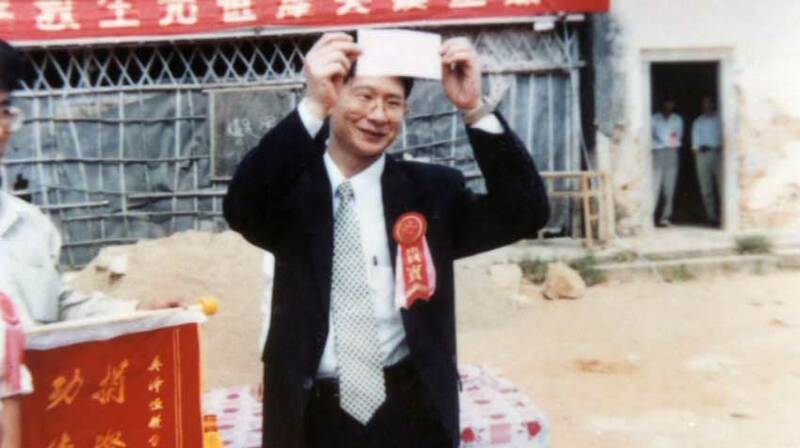 In May 1996, HE raised 2.17M HKD and made it as a personal investment to set up a school in his hometown Huilai County, Guangdong Province. 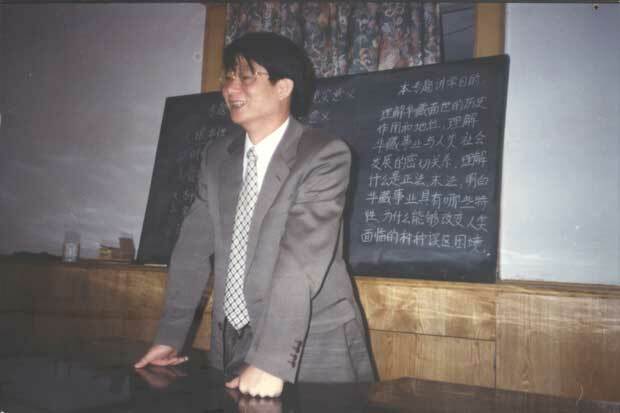 Mr Wang Guang Ying, Vice Chairman of NPC wrote the name plaque for Ze Heng School and Ze Heng Teaching Building. 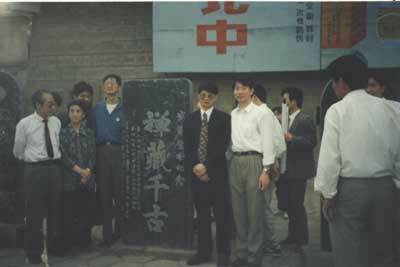 In April 1999, the Grand Dharma Alter Ceremony was held in Taigu County, Shanxi Province. 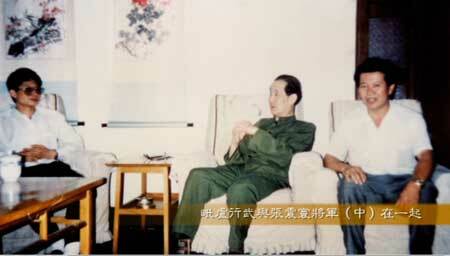 The aim is to protect China and the Saha World. 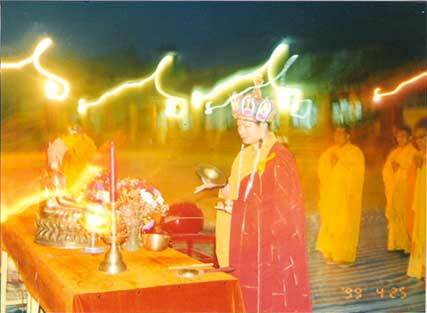 In 1999, the Grand Vairocana Dharani Altar Ceremony (arousing awakening and Purifying Dharmadhatu) was held in Taigu County of Shanxi Province. 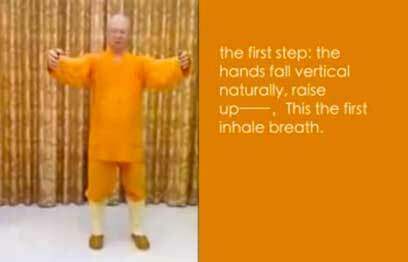 The sound of the Buddhist chime opened the Holy doors of the three realms. The golden beams and bright of Vairocana appeared on the Altar. HE led his disciples all over the world to hold a Grand Repentance Altar. The Great Dedication of Merits was also made for the purpose. Eleven disciples were awarded the Precept of Pure Lotus of Vairocana’s Nature Sea. 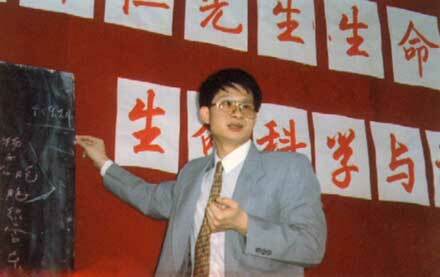 In 2010, in view of the frequent occurrence of natural disasters, HE has been advocating and leading his disciples, the lay Buddhists and monks to conduct a movement called “Fasting for Charity”. The charity has brought warmth and hope to the suffering beings. 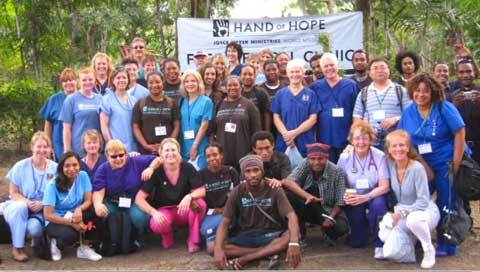 By July 2011, more than 5.7 millionin the world have participated in the “ Fasting for Charity” Movement. 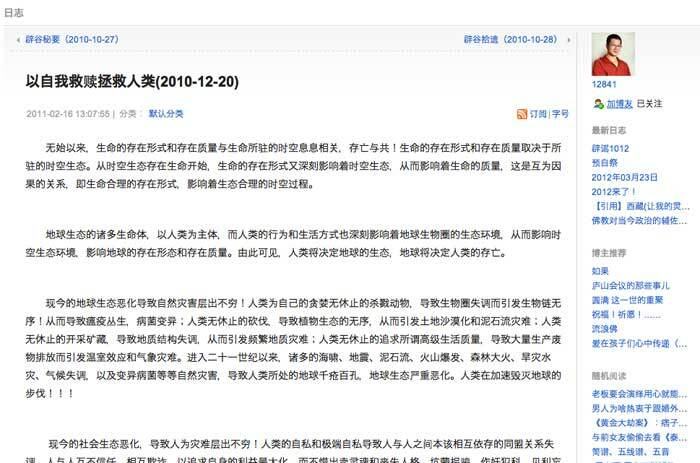 In the beginning of 2011, HE published article of “Self Redemption to Save Humanity”in His Blog, indicating the crisis of survival of human society is extremely critical as time waits for no one. In February 2011, HE led His disciples and followers to conduct another campaign called “A Nice Deed Each Day”. People can start from minimum. Thus everybody can do it. That’s the best way to achieve self redemption. HE pursued the paramount truth of Buddhism and has been giving guidance to all beings by explaining concisely the doctrines of Dharma. Every moment HE is he is doing his ultimate. HE, who is unintentional but committed, has been acting on prompt intuitive senses, never clinging to any one-time experience; and displaying hundreds of thousands of forms, never sticking to any one. 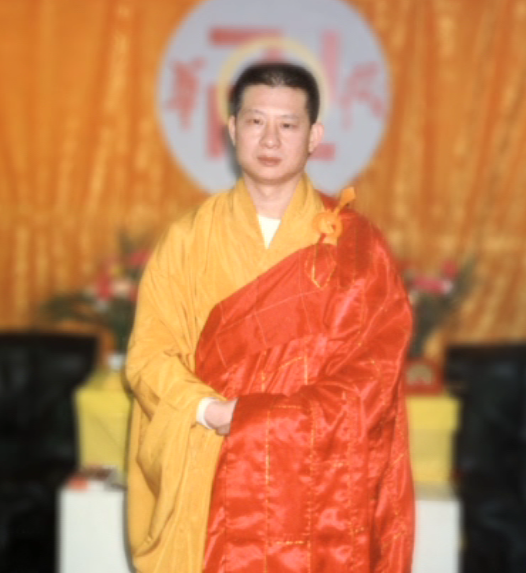 In the last two decades, the Contemporary Awakened One, His Holiness Vairocana Xing Wu preached Dharma all over the world, leaving His footprints in South and North China and more than 20 other countries. 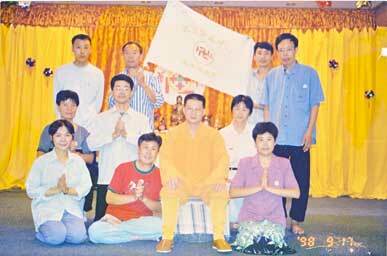 At the beginning of 1999, His Holiness Vairocana Xing Wu initiated and established Hua Zang Incorporated Co., Ltd. (abbr. Hua Zang Co. ). 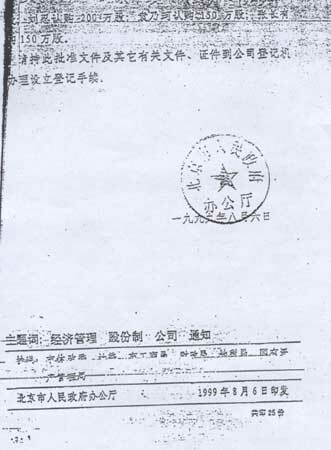 Despite being approved by SAIC (State Administration for Industry & Commerce of the People´s Republic of China) on 29th June and was also officially granted permission as in the Beijing Municipal No. 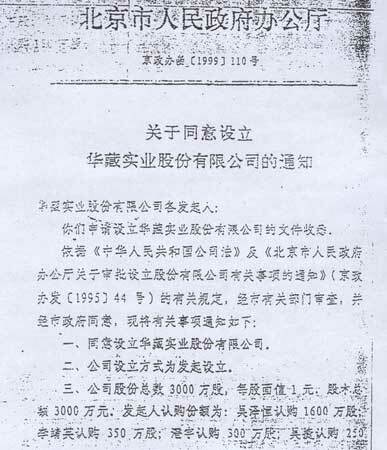 11 (1999) Document on 6 August, Hua Zang Co. and its local sub share-holding companies were closed down by local Public Security Bureaus for political reasons. 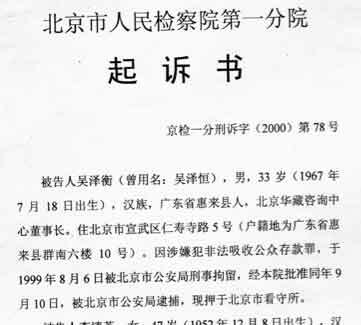 On July 9, 1999, HE petitioned President Jiang Ze Ming and Prime Minster Zhu Rong Ji, pointing out that the State is facing the problem of a national crisis of faith, and recommended that people should be guided by Universal life philosophy towards a perfect personality, proper behavior, consciousness of life, and awareness of the meaning and goal of life. 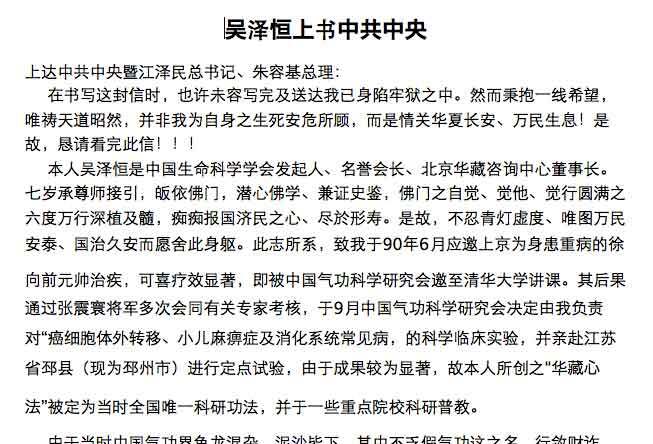 Meanwhile, HE reported the persecution Hua Zang Incorporated Co., Ltd encountered in the process of its establishment, hoping the President and the Prime Minster can distinguish the truth, and help to resolve the problems. 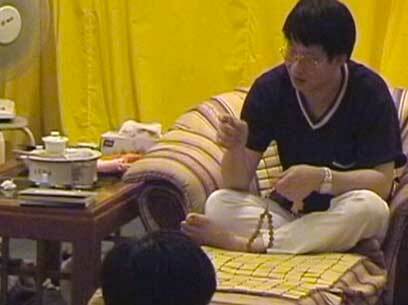 However,	On 31st July 1999, His Holiness Vairocana Xing Wu was detained. 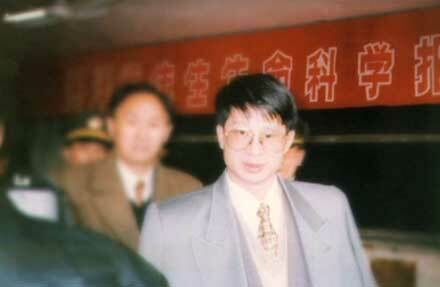 On 10th September 1999, HE was arrested in Beijing for some special reasons. 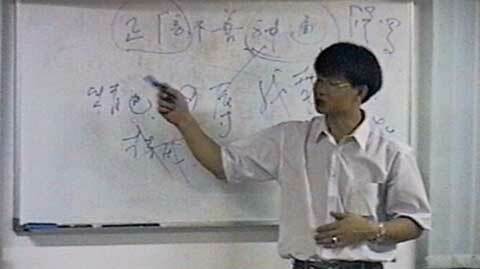 In November 2000, Beijing First Intermediate People´s Court sentenced Him to eleven years imprisonment with accusation of “illegal business” and “unauthorized issuance of shares”. His Holiness Vairocana Xing Wu sacrificed Himself in purgatory eleven years in exchange for a greater space for the survival of all beings. In the twenty-first century, the chaotic events due to man-and-nature disorder occured one after another. Time is out! 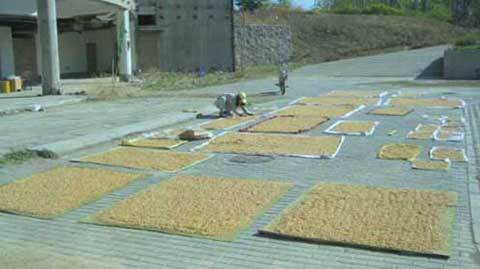 HE, with His compassion and wisdom, declared the Prescription of Soaked Soybean with the Rice Vinegar in advance so to help people preventing the impacts of nuclear radiation. HE advocates “Fasting For Charity” and ”Reciting Mantra for Blessings” movements，and promotes “A Nice Deed Each Day”. 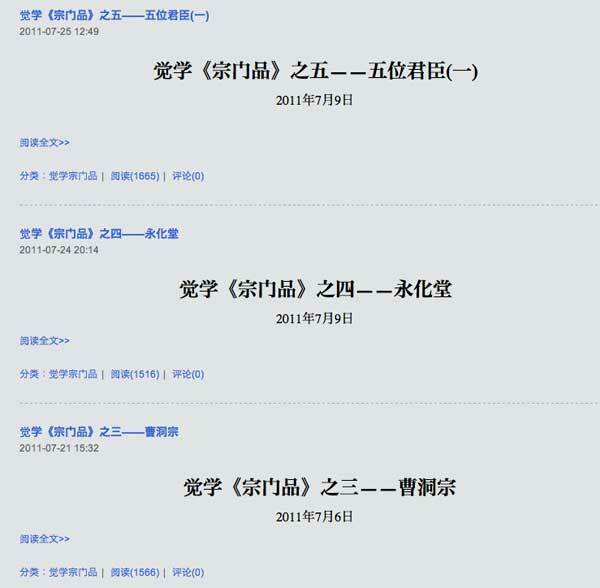 So that, a person, who had disappeared from people´s sight for 11 years, returned to the public, and his blog was visited by 280 thousand times in a very short time. 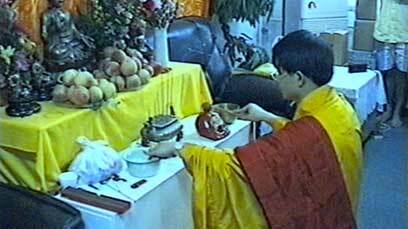 In April 2011, HE publicized the Dharma Seal of the Vairocana Dharmadhatu-- Square Precept Altar. 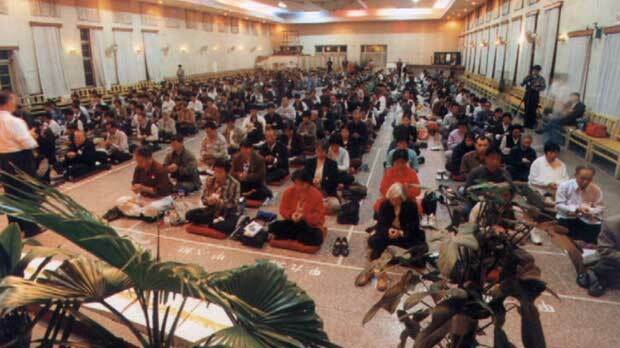 Where the Holy Altar appears, thousand Buddha will worship and protect, and all Saints will be around. They will make joint efforts to reduce disasters of the Saha world in sufferings. He has been watching for the world and the people ,day and night. It is hard to imagine what huge efforts HE has made in such a hard work! It is ten thousand times more than ordinary people. However, HE has been suffering from persecution and misunderstanding. 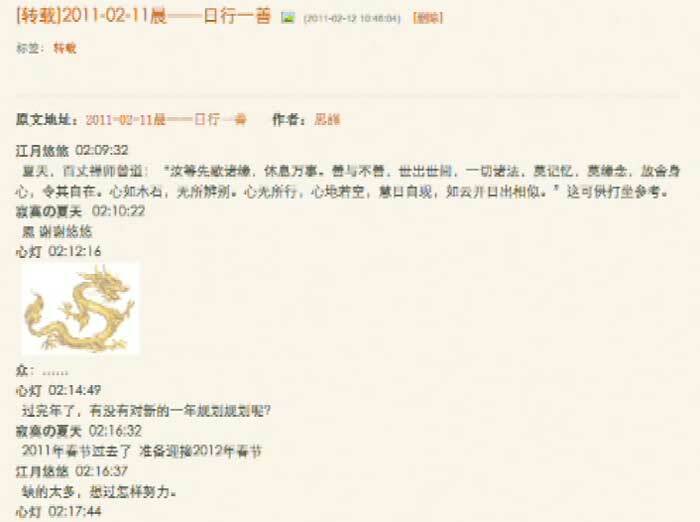 On the eve of the Buddha´s Birthday in 2011, violence occurred in His home. 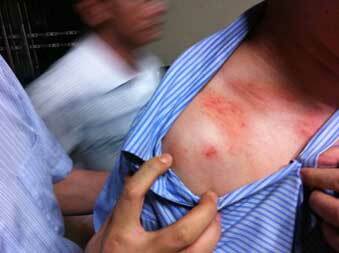 HE was assaulted and injured by local policemen, and treated with arbitrary detention. For it does not disappoint my life pursue. HE said: We should uphold justice, strive for universal human rights.We have no opposite side. When facing our county, our nation, and even all humanity, we will act with responsibilities, endurance, toleration , non-clinging and non-self. That is the spirit of Hua Zang Dharma Door. His deeds, statements and endurance have aroused more and more attention of the international community. 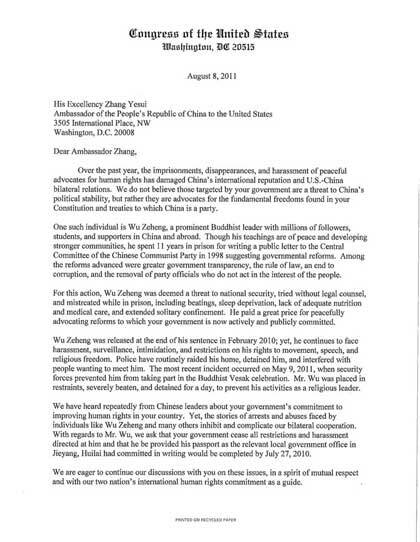 On August 8th, 2011, 16 councilors of US Congress sent a jointly-signed letter to the Chinese Ambassador Zhang Ye Sui to urge the Chinese Government to cease harassment on Master Wu Ze Heng. Exhaust all my blood and bones for the welfare of the sentient beings. If there is any human being still suffering. “In later years, I earnestly hope that you, the missionaries of Hua Zang Dharma, could undertake Tathagatas’ task with me. Because the heavy mission of the survival of humanity is on our shoulders. As for me, I will forever provide my shoulders to support you to go upwardly. 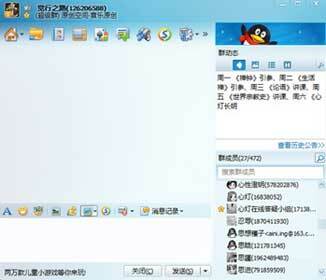 As for Hua Zang followers, you should do the same to the people. Hua Zang Dharma is inclusive, enduring and ultimate. We are now demonstrating the Original equals the Ultimate and is also the Process. All beings have Buddha Nature. 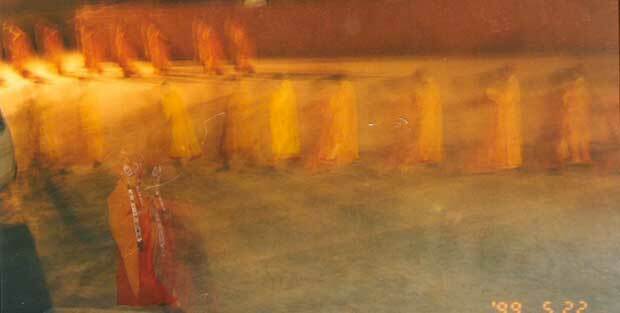 Hua Zang Dharma transcends language, script, ethnicity, nationality, regionality, religion, race, space and time. 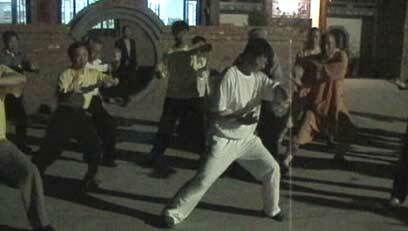 Hua Zang Dharma has no fixed form but show its existence everywhere. Namo all Buddhas in the three time-spans of past, present and future, and ten directions of the universe!